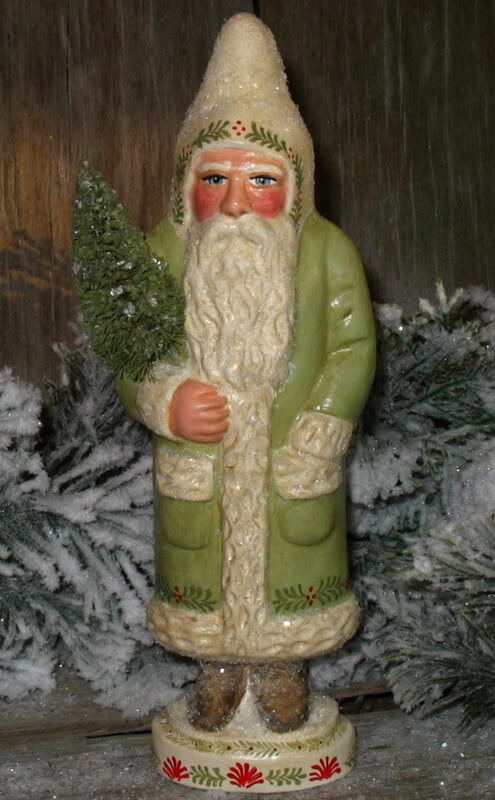 Bring a piece of New England folk art into your home for the Christmas holiday with this hand crafted Chalkware Santa. Inspired by the German tradition of folk art chalkware, Bittersweet House Folk Art offers a unique, hand crafted treasure that will last a lifetime. Of special note: Cast in chalkware using a wonderful rare antique tin German chocolate mold, measuring approx 7 - 3/4 inches. 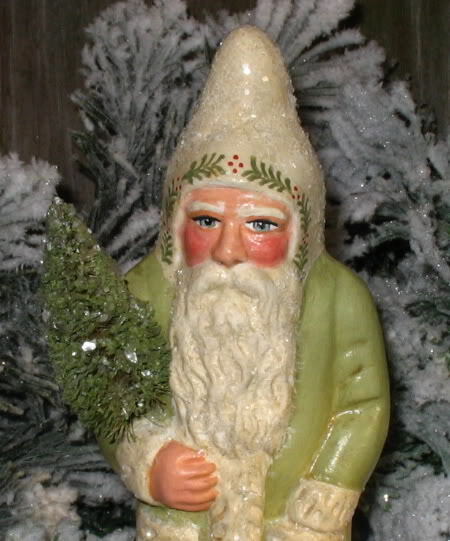 The Belsnickle Santa with Lantern is painted with an antiqued sage green coat, trimmed in feather tree sprigs and holly berries and he carries a bottle brush tree. The entire piece is dusted in glittering diamond dust. Displays beautifully with folk art primitives, redware and salt glaze pottery; numbered, dated and hand signed " Bittersweet House Folk Art, Kathryn Campbell, Sherborn, MA".